Drafting a will can seem straightforward, but there are a number of factors to consider, and certain aspects you need to factor in to ensure your will stands up to probate when you pass away. While you can draft a will on your own, having a knowledgeable Washington DC estate planning attorney is beneficial to ensure everything is included and specific enough for a probate judge to enforce. Here are some of the more common questions estate planning attorneys are often asked when drafting a will. If I die without a will, will the government take my entire estate? There is some concern surrounding people who die without a will, which is called “intestate,” that the government will take your entire estate. In most cases, your spouse and dependents are the ones who are first in line to inherit your estate. If you have a registered domestic partner, he or she will be treated like a spouse for allocation purposes. The only time an estate may go to the state is when no living relatives can be located. Will probate take years to complete? Everyone has heard “horror stories” about a friend of a friend who struggled through a difficult legal matter, and probate is no different. While very wealthy parties and complex estates may take longer to settle, most probate matters are finished within a few months. Family arguments, complex assets, and continued income are some of the issues that can cause a specific estate to be in probate longer. Will the executor of my will be automatically appointed? No. You need to name the person you want as your executor. 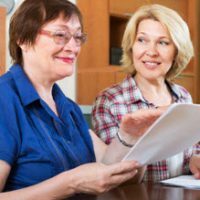 Some people assume their eldest child is the one who should be the executor, but it’s important to take a step back and figure out who would be the best to administer your estate. In some cases, the court may not even approve your executor. If they have a felony conviction, do not want to be the executor, or suffer from an illness or disability, then the court will appoint someone else. Do I have to leave something to my spouse and/or children? In theory, no. You can leave your estate to whoever you wish, but it will be a lot easier if your spouse is ok with the arrangement. State law gives surviving spouses the right to “take against the will,” which means they opt for an elective share of your estate based on the law. I had my will prepared when I was living in another state. Do I need a new will if I moved to Washington, DC? As long as your will meets Washington, DC’s requirements on signatures and witnesses, then no, you will not need to draft another will just because you moved to the District. If you have not drafted a will yet, or you need assistance with your existing one, it’s important to speak with an estate planning attorney. Contact Tobin O’Connor & Ewing and let one of our knowledgeable attorneys assist with all your estate planning needs.